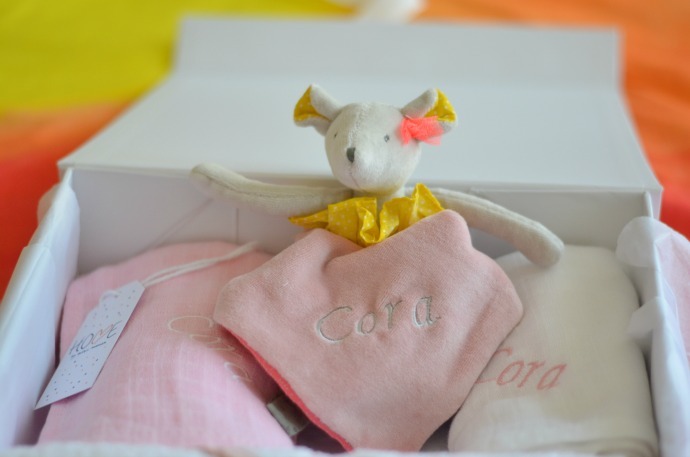 We know Merci Maman for their beautifully engraved jewellery, but they have recently expanded their range and offer a home range full of gorgeous embroidered baby gifts. We were sent a personalised gift box for Cora and it arrived equisitely packaged in a white box and wrapped in tissue paper. 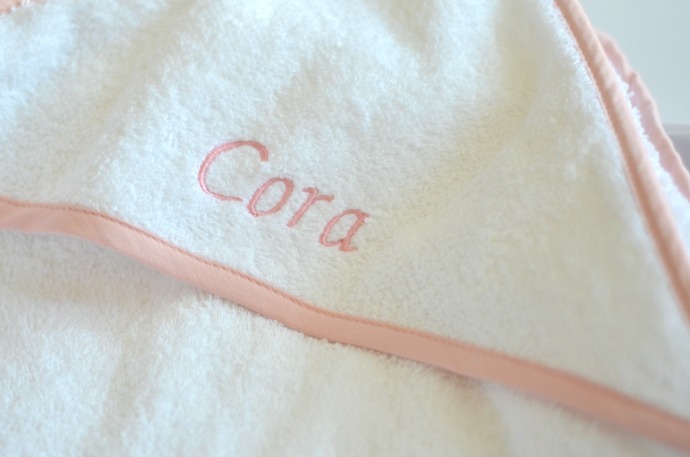 The gift set contains a hooded towel, two muslins and a comforter, each personalised with her name. 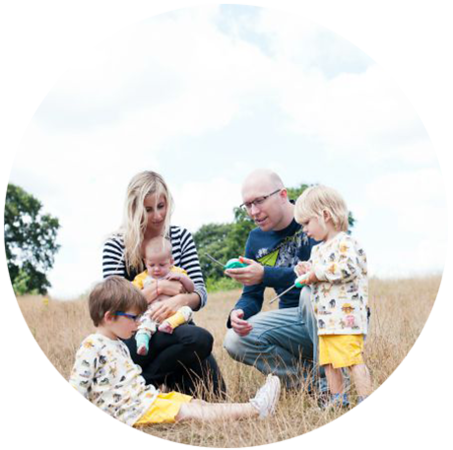 This is a perfect gift for a baby with a more unusual name and definitely something to be saved in the baby box. The girl's box has both a pink and white muslin and a choice of two comforters. 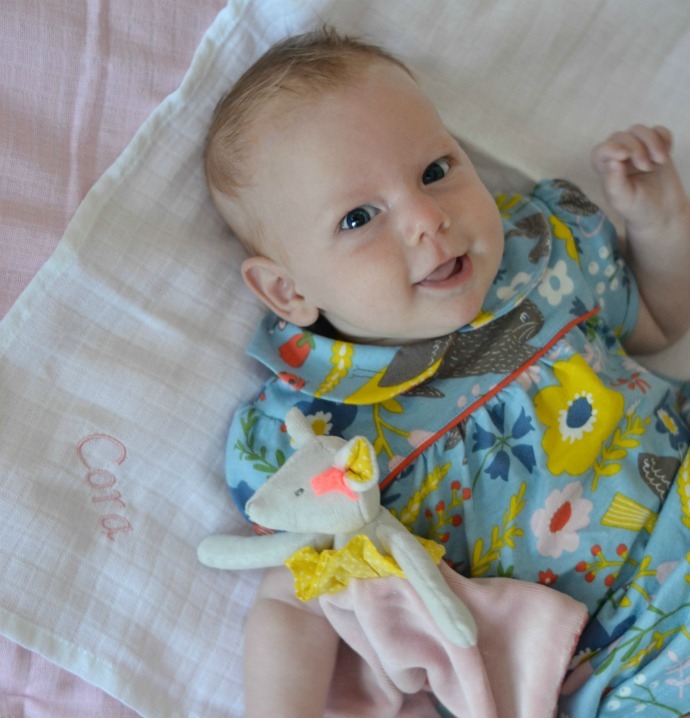 The muslins are pretty big (75 x 75) and the comforter is the perfect size for little arms to cuddle. Merci Maman offer free delivery with a choice to upgrade it to next day delivery if you need it sooner. The towel is 100% cotton and feels lovely and soft. 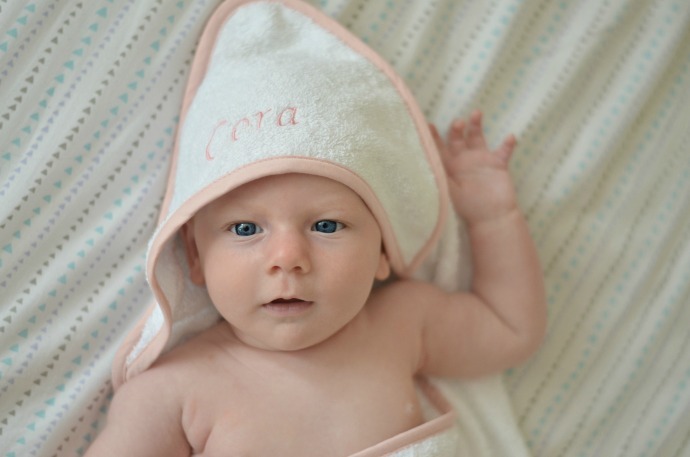 It is ideal for baby bathtime and Cora looks so snuggly in hers. Not only was I sent one to review, I also have an embroidered gift box just like this one to giveaway. The winner can pick either the pink or blue set and personalise it with the name of your choice. 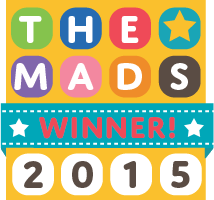 Entry is simple via the rafflecopter form below. I would want this for my handsome little fella Dennis! 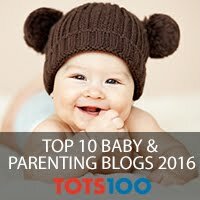 Born 20/06/16! I would love to win this for my best friend, its her first and she would love this. I would love this for my sister in law and brother who had a little girl a week ago. We don't have a name yet but I would love to win this for my friends baby, due very soon! I would love this for my niece who arrived around 2 weeks back (one month before the due date). I'd love to win this for my friend who is pregnant, name to be confirmed!